Jessica received her MS degree in Psychology at the University of Turin in 2014 with a dissertation about altered sense of agency and body ownership in brain damaged patients under the supervision of Prof. Lorenzo Pia. Afterwards she spent a one-year training at the Fondazione Opera San Camillo in Turin working in a neuropsychological and neurorehabilitation team where she became experienced with rehabilitation programs and assessment protocols. After a four-months internship at the RBCS Department of Italian Institute of Technology, Jessica joined the C’MON Unit as PhD student. 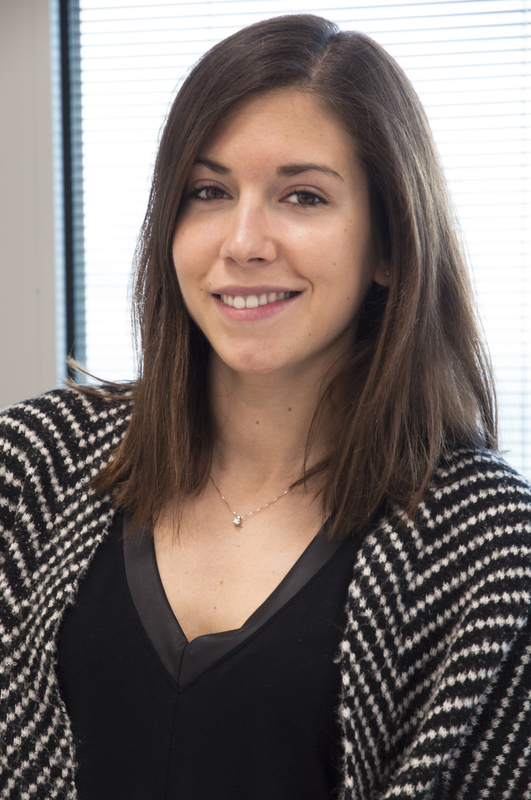 She is currently working on a project exploring the link between action execution and action observation in autism spectrum disorder (ASD) under the supervision of Prof. Cristina Becchio and in collaboration with Dr. Caterina Ansuini. Her interests pertain to intention understanding, movement observation and social cognition. In particular, she studies the role played by motor skills and action planning in ASD by applying an integrated approach based on neuropsychogical tests, behavioral paradigms and motion capture techniques. Ansuini, C., Podda, J., Battaglia, F. M., Veneselli, E., Becchio, C. (ahead of print). Ansuini, C., Podda, J., Cavallo, A., Koul, A., Pintaudi, M., Battaglia, F., Veneselli, E., Becchio, C. (May 2017). Reading intention in action: the case of autism spectrum disorder. International Meeting for Autism Research – IMFAR 2017, San Francisco, USA. Podda, J., Ansuini, C., Battaglia, F., Cavallo, A., Pintaudi, M., Jacono, M., Semino, M., Dufour, E., Veneselli, E., Becchio, C. (November 2016). Planning ahead: grasp height effect in children with autism spectrum disorder. 13th Annual Conference of the Italian Association for Cognitive Sciences (AISC), Turin. Ansuini, C., Podda, J., Cavallo, A., Jacono, M., Pintaudi, M., Semino, M., Battaglia, F., Veneselli, E., Becchio, C. (September 2016). Same object, different uses: prior-intention and action execution in children with high functioning autism. 11th Autism – Europe International Congress, Edinburgh. The I.Move.U approach to the study of action execution and action observation: the case of autism spectrum disorder. 2nd SMART School on Computational Social and Behavioral Sciences, Paris. Podda, J., Ansuini, C., Battaglia, F., Cavallo, A., Pintaudi, M., Jacono, M., Semino, M., Dufour, E., Veneselli, E., Becchio, C. (2016). In Proceedings of Mind the Gap: Brain, Cognition and Society, 277.